Following the hearing, Whelan's court-appointed lawyer, Vladimir Zherebenkov, told reporters that during Whelan's arrest a flash drive with "state secrets" had been found on him. The lawyer, however, said that Whelan had been unaware the classified material was on it, saying he had thought it only contained holiday photos and tourism-related files. "The one thing that I can confirm is there there was information constituting state secrets," Zherebenkov said. “In reality, Paul should have received from an individual information which is not a state secret -- it’s cultural things, a visit to one church. That is Paul’s holiday, photos," Zherebenkov said. The lawyer said Whelan had been given the files by an individual but refused to say who. Officers from Russia's Federal Security Service (FSB) arrested Whelan in his hotel room with the classified material, Zherebenkov said. It not clear if Whelan himself accepts his lawyer's position that he was found with classified information. "I am not using the word 'setup'," Zherebenkov said. He also categorically rejected a suggestion that Whelan's case could be politically-motivated. “Absolutely not," he told reporters. The court on Tuesday rejected a request that Whelan be released on bail, ruling that he remain in Moscow's Lefortovo prison awaiting trial until at least 28 Feb. The lawyer’s comments were the first formal description of what Whelan is accused of in a case where Russia has so far provided no details of the charges against him. Whelan was detained on Dec. 28 at Moscow's upscale Metropol hotel while on a trip his family have said was to attend a wedding of an old friend from the Marines. Russia’s FSB, which arrested Whelan, said in a statement announcing his detention only that he had been caught while conducting “spying activity.” Zherebenkov has previously said Whelan intends to plead not guilty. Zherebenkov's statements, though, recalled anonymous allegations that appeared on a Russian news site known for its ties to Russian security services about a week after Whelan was detained. The site, Rosbalt, cited an anonymous security services source who said Whelan had been arrested in his hotel room minutes after receiving a memory card with a classified list of Russian operatives on it. The site’s source claimed a Russian acquaintance of Whelan’s had delivered the card to him. Whelan’s family has denied Whelan is a spy and in a statement following Tuesday's hearing they said they were "certain that he was entrapped and is not guilty of espionage." The family added they did not have information regarding the flash drive or how it could have "materialized in Paul's possession." 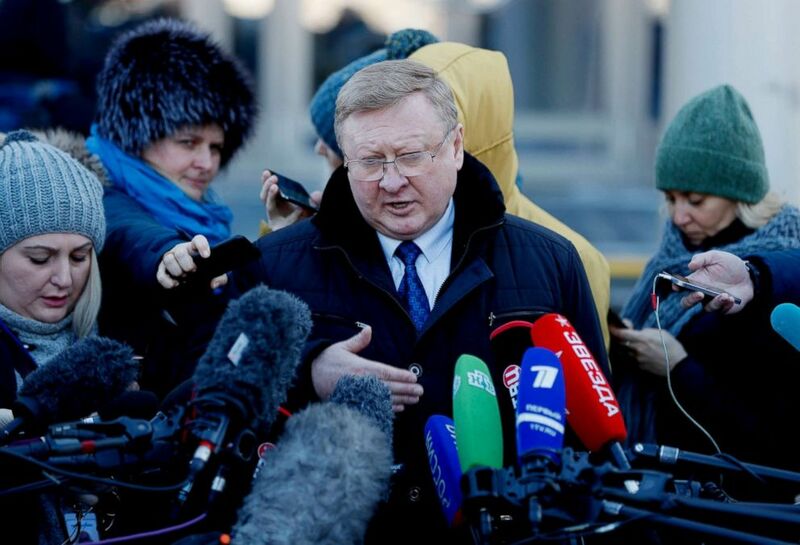 Vladimir Zherebenkov, a lawyer of suspected spy Paul Whelan, speaks to the media after a hearing of an appeal on Whelan's arrest, in front of the Moscow City Court in Moscow, Jan. 22, 2019. “He definitely has things about him that make the trumped-up charges against him more palatable, certainly to Russians and probably to some Americans as well," Steven Hall, a former CIA station chief in Moscow told ABC News two weeks ago. Daniel Hoffman, another former CIA officer, told NPR shortly after Whelan's arrest at the beginning of January, that "this has all the hallmarks of a Russian KGB-style setup." Asked why someone would have tried to give Whelan classified information without his knowledge, Zherebenkov suggested it could be "a mistake." Before more evidence is produced, the lawyer said, it was impossible to say what had happened. Tuesday's hearing was the first time Whelan had been seen publicly since his arrest, when his family said he disappeared hours before his friends' wedding ceremony. 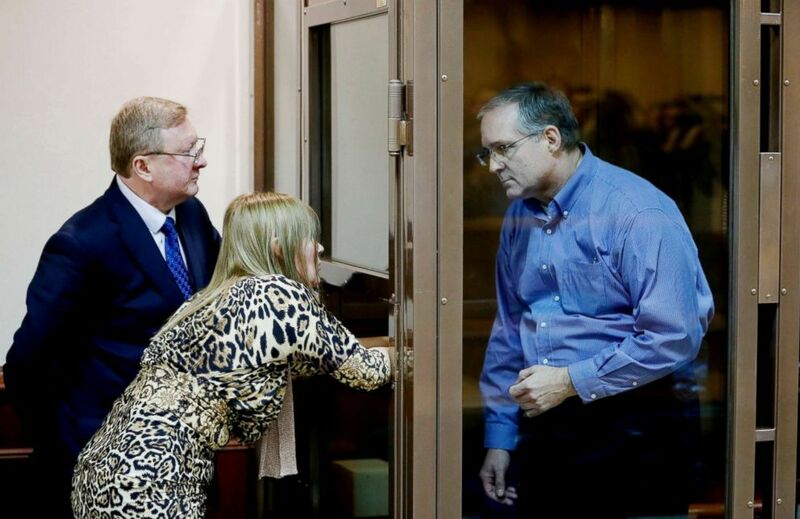 In the courtroom, Whelan stood in a glass cage, wearing a blue shirt and glasses, and did not respond to shouted questions from journalists. An officer escorting Whelan wore a camouflaged balaclava. Whelan's lawyer on Tuesday said that he was suffering from pain in his shoulder and also a possible hernia, which they were seeking to have examined by doctors. Former U.S. officials have said Whelan's background, in particular his discharge from the Marines, would have made him an unlikely candidate for spy. After the hearing, Whelan's family said it was now clear to them, "that only government action will return Paul to his family any time soon." They called on the U.S., UK, Canada and Ireland to take "additional steps" to try to bring him home. In a separate interview with ABC News on Tuesday, Whelan’s brother, David Whelan said that he hopes all Americans can recognize the danger in traveling to Russia. Whelan also said that he believes that the case against his brother is “a fake case,” contending that if the charges were legitimate, the person who passed the thumb drive to his brother would have been arrested as well. Whelan said that his family’s greatest concern about his jailed brother Paul is his health. Based on notes he has sent to his family through his attorney, Paul Whelan expressed concern about his own health. Whelan has instructed his family to take care of his day-to-day responsibilities in the U.S. -– paying his rent and bills, raising money for a potential trial, and responding to communications on his behalf, his brother said. Yet the frustration and feelings of powerlessness are beginning to weigh the Whelan family down. “My sister is talking to Congress, we’re in touch with the embassies [and] Ambassador [Jon] Huntsman is good in communicating with the family,” David Whelan said.